If you like to sing and dance you'll love Pop Star Dance™! ​Dance & Vocal training that develops every child's unique potential. Pop Star Dance™combines the dance and vocal styles found in current musicals, movies and pop music videos! The result is music and dance similar to Demi Lovato, Taylor Swift, and other current pop sensations. The dance training incorporates elements of Ballet, Jazz and Hip Hop along with modern techniques and our own level appropriate choreography. The vocal training focuses on developing and improving your voice. Classes are taught using an approach that is designed to build confidence and self esteem while learning the fundamentals of voice and dance. The students perform at our annual recital in June. This is an entry level class. No prior experience in dance or voice is required. ​Classes are grouped according to age and level. Pop Star Jrs. is for ages 4 - 6. Pop Star I is our entry level class for ages 6 - 12. Pop Star II is for more advanced singers and dancers. Click below to read "A Parents Guide To Choosing A Dance Studio." 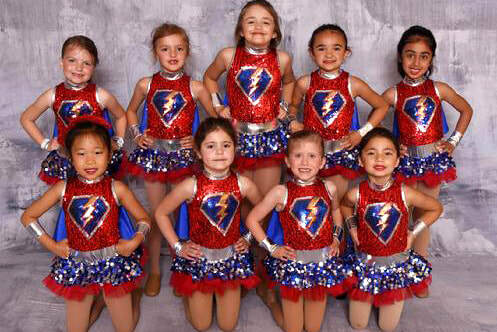 A Parent's Guide To Choosing a Dance Studio!